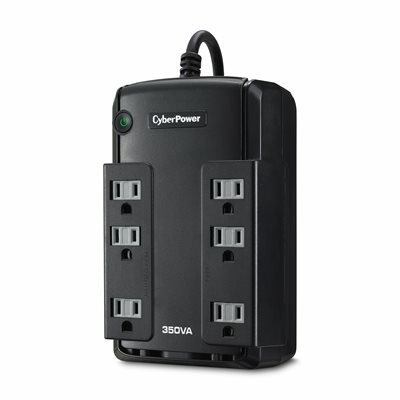 A compact UPS with standby topology, the CyberPower Standby CP350SLG provides battery backup (using simulated sine wave output) and surge protection for desktop computers, workstations, networking devices, and home entertainment systems. 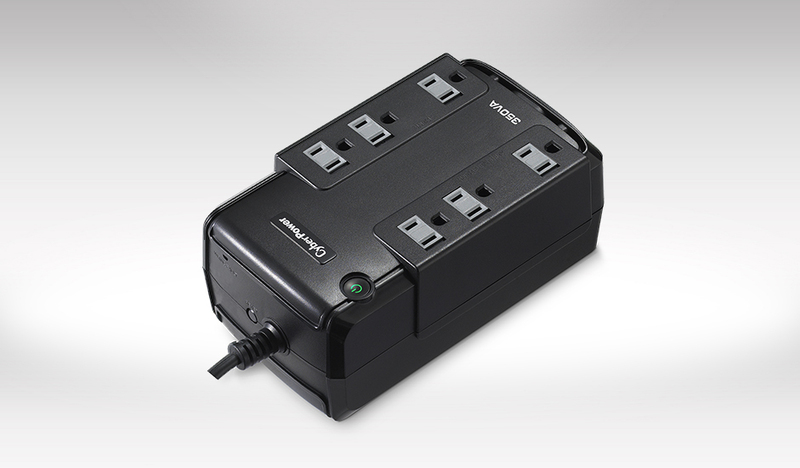 During power interruptions, the CP350SLG offers reliable power protection and battery backup.The CP350SLG unit has a capacity of 350VA/255Watts, six NEMA 5-15R receptacles, including two widely-spaced outlets to accommodate transformer-based plugs. Its compact design allows for horizontal or vertical placement. This UPS has a maintenance-free 12V/3.6Ah battery. EMI/RFI filters increase the immunity of the load to disturbances and surges. This product comes with a with a $75,000 connected equipment guarantee. See user manual for details.